We all have the ability to heal, grow, and strive towards achieving wellness in our lives. In order for an individual to progress there are challenges in which we have to face to better ourselves. When a person endures pain, hurt, and struggles to give themselves self-love and compassion; I let my client’s know to stay true to themselves. As a therapist, I strive to inspire others, build rapport by creating a space of safety and empathy for client’s to share their journey of healing with me. I acknowledge one’s cultural background, beliefs, values, expectations, and worldviews are all forms of identification a person can identify culturally with when pursuing an interest in therapy. I remain culturally responsive when utilizing my therapeutic frame work of Cognitive Behavioral Therapy while focusing on client’s strengths from a client-centered perspective. Each person has their own journey, own story, and I work with each individual to help them maintain a balanced life style by being transparent, honest, and encouraging personal growth. Prior to joining the Center for Hope and Strength, Jocelyn completed her practicum internship at Center for Community Solutions. She co-facilitated group therapy, counseled adults, children, and couples who have been impacted by sexual assault and/or intimate partner violence. 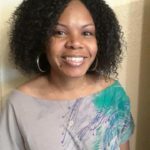 Jocelyn specializes in Cognitive Behavioral Therapy and works collaboratively with client’s to create a support system that best suits their needs. While in graduate school, Jocelyn was a Counseling Intern at Montgomery Middle School where she provided peer mediation and academic counseling with students ages 11-14. Jocelyn also has previous experience with New Alternatives and San Diego Center for Children working with both the foster youth population and 51:50 patients. Jocelyn enjoys working with the community, inspiring others to overcome their challenges, and continuously motivates clients to accomplish their therapeutic goals.